From the acquisition of the Glenwood Dance Academy location, which expanded the reach of The School of Aspen Santa Fe Ballet further down valley into Glenwood Springs, CO, to the departure of beloved long-time school faculty Charlotte Bowlby, the 2014-15 school year was one of milestones and transitions. Such achievements were not, however, strictly limited to the upper levels of the organization; our students—the foundation of our school—boasted an incredible year of growth. From a new crop of male talent in Santa Fe, to those advanced students taking the plunge into summer dance intensives, our students are the physical embodiment of the success found through perseverance and dedication to The School of ASFB curriculum. A major milestone in a budding ballerina’s course of study is the transition from a soft ballet slipper to the iconic pointe shoe. There is nothing quite as exciting as the first pointe shoe fitting and making one’s initial tentative relevé onto the tip of the hard, satin shoe. 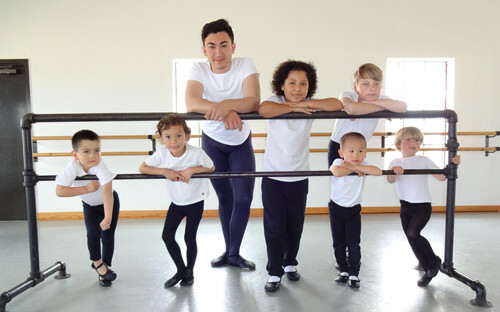 Melanie Doskocil, director of The School of ASFB in Aspen, explains that our faculty look at each student individually to determine whether or not they are ready to advance into pointe classes. “Starting around age eleven,” she said, “students are evaluated on a wide range of criteria including ankle mobility and strength, turnout, leg strength, and core strength.” This year in Santa Fe, ten girls achieved this important step in their training. Meanwhile, in the Aspen area, another ten girls got fitted for their first shoes, making the trip to Colorado Springs, CO, to see Noel Amend, whose expert eye has matched many of our students with their first pair of shoes. We look forward to seeing our students perform in the end-of-year recitals and wish them all an exciting and productive summer!